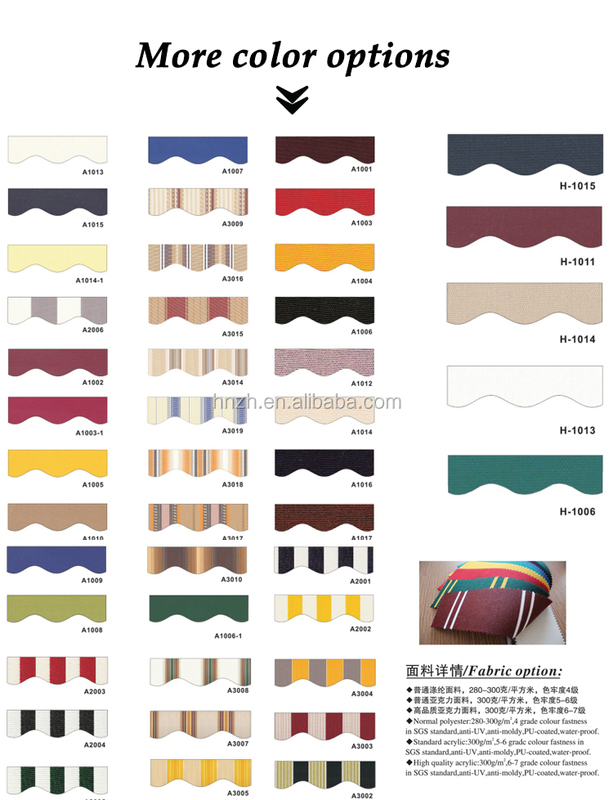 1)Can i purchase a sample to check the quality fristly? 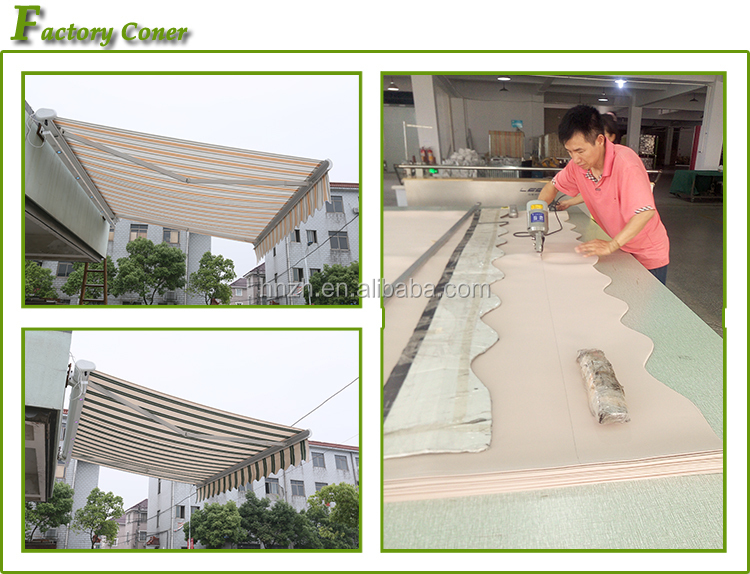 Yes,if you plan to purchase one sample fristly,we suggest you can choose the size 2.0X1.5M,our sample of this size is free for you,if other size,it needs extra sample cost that is same as its unit price,once you would place order in the future,we would return back the sample cost to you,please rest assured,thanks! 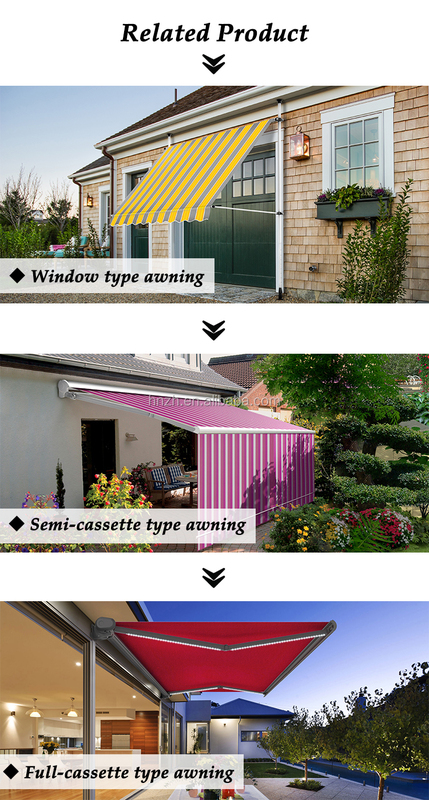 2)How about the warranty of your awnings? 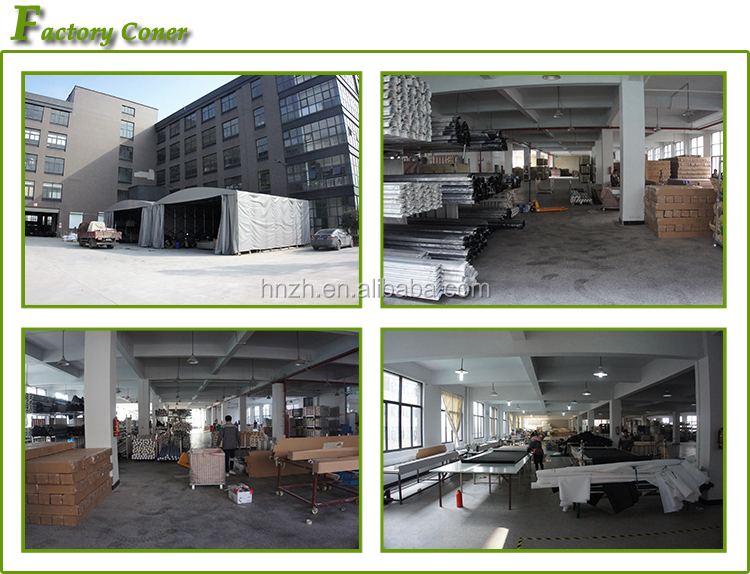 The warranty of the frames is two years,other parts is five years,thanks! 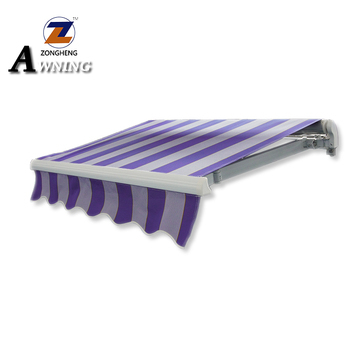 The awnings of our standard is manual,the motor with remote control and LED lamp and wind sensor are optional,if you need,please let me know,thanks! 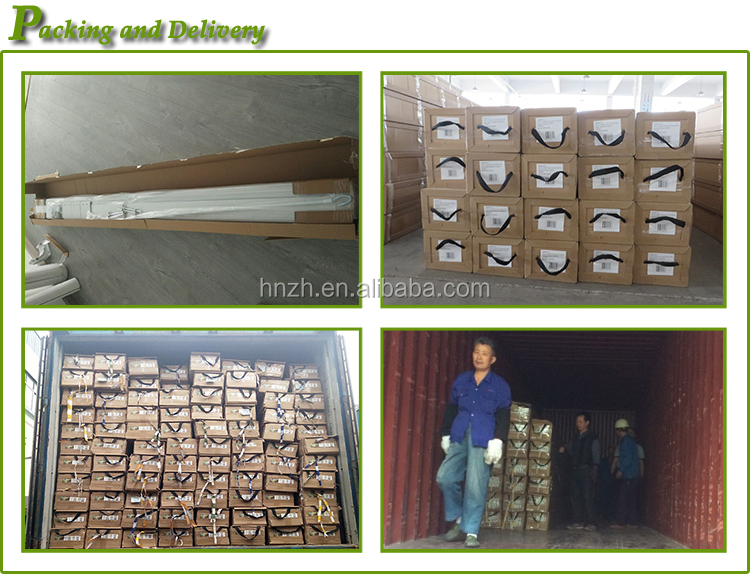 Now our company is looking for the wholesalers,dealers,agents etc in many countries,if you are interested in,please contact with me directly,hope we can work together and develop the market,thanks!